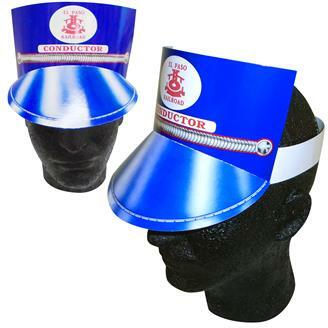 Pre-printed blue train conductor's hat with gold trim is made of 14 pt. high density paper poster board; liquid laminated for a high gloss finish. Drop your artwork / logo into the imprint area or design your own. Ideal the the train enthusiast! Quick turn; just ask.